Exclusive Military Offer: Savings up to $5,000 on Chrysler, Dodge, Jeep, Ram Vehicles and Savings up to $4,500* on Ford and Lincoln Vehicles! New Year, New Deal. 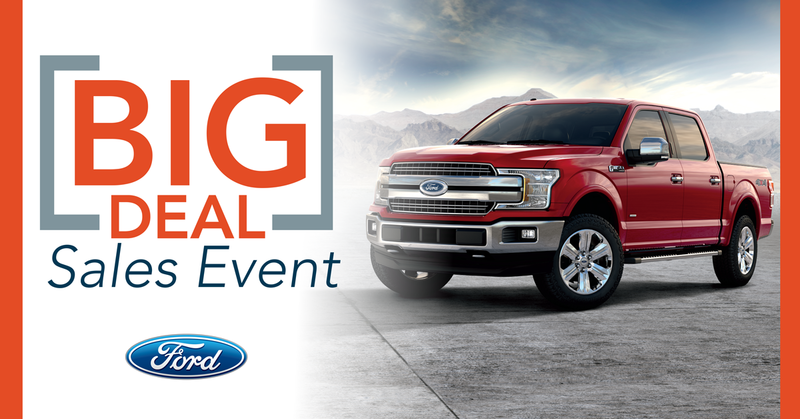 Save Big and take home a brand new Ford, Lincoln, Chrysler, Dodge, Jeep or Ram today! 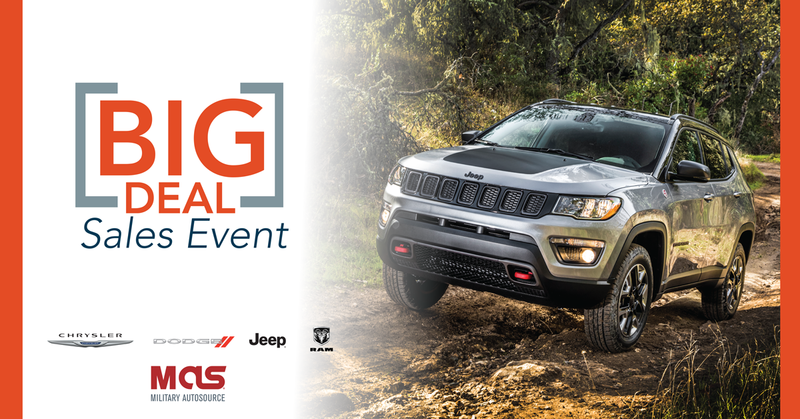 This event is going on now and available at all on-base Military AutoSource locations. Our Inventory clearance is available for overseas or stateside delivery. Also order early for bonus savings on your vehicle, built your way! Military AutoSource is clearing out our port inventory and offering low prices and immediate delivery on hundreds of Ford, Chrysler, Dodge, Jeep and Ram models! Our exclusive military discounts and rebates are available. The exclusive Ford, Chrysler, Dodge, Jeep, and Ram military discounts only offered at Military AutoSource are ONLY available to military members while they are stationed or deployed overseas. Order your vehicle overseas below MSRP and take delivery of your vehicle when you return stateside, or locally in Europe, Korea, and Guam. Request Your Exclusive Military Pricing: Savings up to $5,000* on Chrysler, Dodge, Jeep, Ram Vehicles and Savings up to $4,500* on Ford Vehicles! Savings amount varies and available on select models*. All programs and guarantees are subject to terms and conditions. Visit www.militaryautosource.com/onbase or see your Sales Representative for complete details. All illustrations and specifications are to the best of our knowledge correct as of the date of publication. They are subject to changes made by the manufacturer and the laws or regulations of any federal, state or local government agency. Overseas Military Sales Corporation is an authorized contractor of the Exchange and NEXCOM. Military AutoSource is an authorized distributor to sell and distribute Chrysler and Ford vehicles. This advertisement does not express or imply endorsement by the Exchange, NEXCOM, DOD components, or the Federal Government and is not sponsored by them.